Bankruptcy courts do not have jurisdiction to award compensation to a Chapter 7 bankruptcy trustee and his retained professionals out of assets in a 401(k) plan. In In re Robert Plan Corp., No. 14-1144, __F.3d___, 2015 WL 467707 (2d Cir. Feb. 5, 2015), the 2nd Circuit considered the issue of whether bankruptcy courts have jurisdiction to award compensation to a Chapter 7 bankruptcy trustee and his retained professionals out of assets in a 401(k) plan governed by ERISA. In concluding that they do not and affirming the decision of the district court, the 2nd Circuit explained that a bankruptcy court’s power to adjudicate matters in a bankruptcy case turns in part on whether the proceedings are “core” or “non-core.” Core proceedings are those that are found to be “arising under” the Bankruptcy Code or “arising in” a bankruptcy case. The court found that no “arising under” jurisdiction exists here because § 704(a)(11) of the Bankruptcy Code merely dictates that if the debtor (or an entity designated by the debtor) served as the administrator of an ERISA plan at the commencement of the debtor’s bankruptcy case then the trustee must continue to perform the obligations required of the administrator upon his appointment. Section 704(a)(11) neither alters the substantive duties of ERISA plan administrators nor establishes substantive rights regarding ERISA plans. Similarly, no “arising in” jurisdiction exists here because payment of compensation for ERISA plan administrators is typically an issue that arises outside bankruptcy. It does not depend upon bankruptcy for its existence, nor does it involve an administrative matter that arises only in bankruptcy cases. Finally, the court found that no “related to” jurisdiction exists because 11 U.S.C. § 541(b)(7) explicitly excludes ERISA plan assets from a debtor’s bankruptcy estate. Therefore, the outcome of the proceeding relating to compensation could not conceivably have had any effect on the Debtors’ estates. Second voluntary dismissal of pension benefit claim constituted an “adjudication on the merits” and Plaintiff did not exhaust administrative remedies. In Evans v. Laborers’ Dist. Council & Contractors’ Pension Fund of Ohio, No. 14-3301, __Fed.Appx.___, 2015 WL 451033 (6th Cir. Feb. 3, 2015), Plaintiff had filed and voluntarily dismissed two court actions related to his alleged entitlement to pension benefits. When Plaintiff filed a third action, the Pension Fund filed a motion to dismiss, arguing that Plaintiff’s voluntary dismissal of Evans II operated as “an adjudication on the merits” under Federal Rule of Civil Procedure 41(a)(1)(B) and that, although the Fund had not been sued in Evans I, the Fund was in privity with the Ohio Laborers’ Fringe Benefit Programs (“OLFBP”), an entity which serves as the administrative office for the funds. The district court converted the motion to dismiss to a motion for summary judgment and denied the Fund’s motion for summary judgment on the basis that the Fund had not shown that it was in privity with OLFBP. The 6th Circuit found that the previous two actions involved the same claim: Plaintiff’s alleged entitlement to pension benefits. Therefore, under Federal Rule of Civil Procedure 41(a)(1)(B), the dismissal of Evans II operated as an “adjudication on the merits.” The court also found that the evidence overwhelmingly shows that the Pension Fund and OLFBP are essentially the same entity with respect to pension-benefit applications and their interests were co-extensive in such matters. Because they were in privity, the Fund was entitled to summary judgment. Lastly, the 6th Circuit found that the district court abused its discretion in excusing Plaintiff’s failure to timely exhaust his administrative remedies on the grounds of futility. 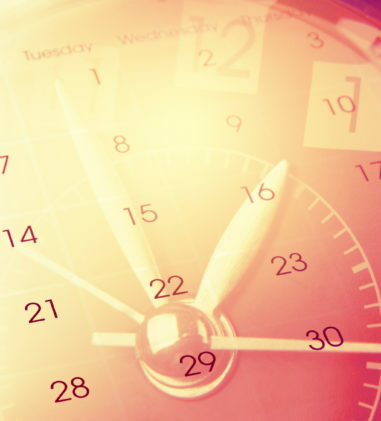 Plaintiff challenged the Plan’s interpretation of its terms and never stated a factual basis for his failure to file timely appeals of the Plan’s determinations. For these reasons, the court reversed the judgment and award of attorneys’ fees in Plaintiff’s favor and remanded for entry of judgment in favor of the Pension Fund. The lack of sufficient evidentiary support for a motion is not a reason to enter summary judgment against the movant. In Hotel 71 Mezz Lender LLC v. Nat’l Ret. Fund, No. 14-2034, __F.3d___, 2015 WL 499571 (7th Cir. Feb. 6, 2015), the National Retirement Fund (“NRF”) and its trustees seek to hold Hotel 71 Mezz Lender LLC and Oaktree Capital Management, L.P. (collectively, the “Oaktree parties”) responsible for multiemployer pension fund withdrawal liability pursuant to MPPAA section 4201. Oaktree, through Mezz Lender, provided financing for the acquisition of a hotel by Chicago H & S Hotel Property LLC (“H & S”). H & S defaulted on the loan, was taken into bankruptcy, and the hotel was liquidated. The Oaktree parties filed suit seeking a declaratory judgment that a reorganization plan released any claim of withdrawal liability and enjoined NRF from pursuing any claim of withdrawal liability against them. In a cross-motion for summary judgment against Mezz Lender, NRF affirmatively contended that Mezz Lender was in fact responsible for withdrawal liability because, inter alia, it was a trade or business under common control with H & S. Its summary judgment memorandum passed over in silence the legal criteria for identifying a trade or business on which such liability may be imposed and made no argument as to why Mezz Lender constituted such a trade or business. Mezz Lender itself did not seek summary judgment on this point. Whether Mezz Lender was appropriately characterized as a “trade or business” requires the application of the Groetzinger test and Mezz Lender’s memorandum did not mention the Groetzinger test, let alone apply that test to the evidence. The district court, confronted with a minimal record which established only that Mezz Lender was a limited liability corporation which extended financing for the acquisition of a hotel by H & S and ultimately acquired complete ownership of H & S in a UCC foreclosure sale, concluded that NRF had not carried its burden on this issue and granted the Oaktree parties’ motion with respect to the issue of withdrawal liability. The court found that the district court had erred by sua sponte entering summary judgment in favor of the Oaktree parties on the question of withdrawal liability without first giving NRF notice that it was considering that course and the opportunity to respond. The lack of sufficient evidentiary support for the motion is not a reason to enter summary judgment against the movant, particularly where the court did not give the unsuccessful movant notice that it was entertaining the possibility of entering summary judgment against it or the opportunity to respond. Because the court was not convinced that the movant had no plausible arguments to make in opposition to an adverse grant of summary judgment, it vacated the judgment and returned the case to the district court for further proceedings. Court denies dismissal of “duplicate” Section 502(a)(3) claim in denial-of-benefits matter. In Bach v. Prudential Ins., No. 1:14-CV-00025-JEG, __F.Supp.3d___, 2015 WL 454845 (S.D. Iowa Feb. 4, 2015), Plaintiff brought suit against Prudential for the termination of his long-term disability claim. His Complaint alleges two counts: a Section 502(a)(1)(B) claim for the benefits and a Section 502(a)(3) claim for a breach of fiduciary duty. With respect to the latter, Plaintiff alleged that Defendant breached its fiduciary duty by failing to conduct a proper investigation, by failing to subject the findings of its investigation to a reasonable evaluation and by wrongfully denying Plaintiff’s claims without a reasonable basis for the denial. Plaintiff further alleged that this breach was in violation of Iowa Code § 507B.4 as well as 29 U.S.C. §§ 1104 and 1109. Both counts request relief under ERISA, including past-due and future benefits and attorneys’ fees, as well as compensatory and punitive damages. The court dismissed Plaintiff’s state-law breach of fiduciary duty claim as well as his request for compensatory and punitive damages, since they are beyond what ERISA authorizes. Although both counts seek nearly identical relief, the court noted that Silva v. Metro. Life Ins. Co., 762 F.3d 711 (8th Cir. 2014) directs the court not to dismiss either count at this stage since it is difficult to determine, solely from the face of the Complaint, the extent to which the two counts may ultimately differ. Before Silva, the Eighth Circuit routinely interpreted Varity Corp. as meaning where a plaintiff is provided adequate relief by the right to bring a claim for benefits under § 1132(a)(1)(B), the plaintiff does not have a cause of action to seek the same remedy under § 1132(a)(3)(B). However, Silva called these cases into question, at least at the motion to dismiss stage. In re: Impulse Monitoring, Inc., Humana Intraoperative Monitoring Servs. Claims & Employee Ret. Income Sec. Act (ERISA) Litig., No. MDL 2596, 2015 WL 506356 (U.S. Jud. Pan. Mult. Lit. Feb. 6, 2015). The panel denied Defendant Humana Health Plan motion under 28 U.S.C. § 1407 to centralize litigation concerning its failure to pay for health benefit reimbursement for intraoperative neuromonitoring services in the Western District of Tennessee or, alternatively, the Northern District of Georgia. This litigation currently consists of 57 actions pending in eleven districts. 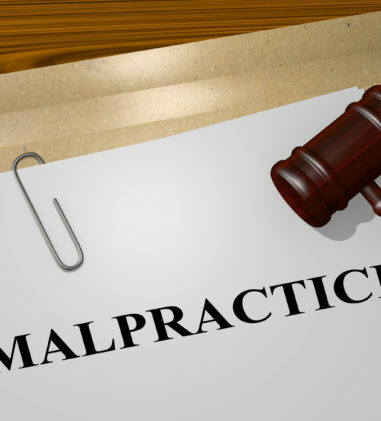 Although the actions here involve common factual issues surrounding Humana’s failure to pay Impulse’s claims for the costs of intraoperative neuromonitoring services, which ranged in the actions from approximately $2000 to $13,500, the panel found that the issues remaining in the litigation are not sufficiently complex or numerous to warrant the creation of an MDL. The primary dispute in this litigation now centers on purported billing and coding errors. Given the lack of complexity of the remaining disputed issues and the limited number of involved counsel, the panel concluded that centralization is not necessary to serve the convenience of the parties and witnesses or promote the just and efficient conduct of the actions. In Laser Lite Elec. Inc. v. United Welfare Fund-Welfare & Sec. Divisions, No. 12-CV-3347 PKC, 2015 WL 459412 (E.D.N.Y. Feb. 3, 2015), the court granted summary judgment on the Union’s asserted counterclaims against Laser Lite pursuant to ERISA and the LMRA for breach of contract, and to compel an audit of the books and records of Laser Lite. The Union sought to recover attorneys’ fees and costs incurred in connection with this action pursuant to 29 U.S.C. § 1132(g)(2) (D). Laser Lite did not respond to the Union’s application. 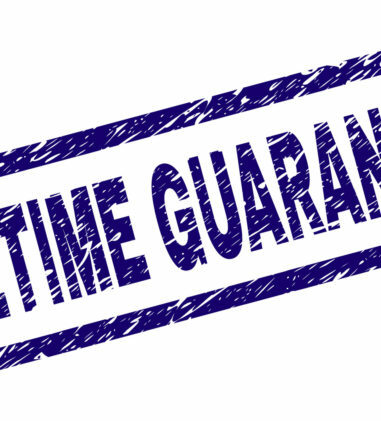 For an attorney who graduated in 2007 and worked on this case as a fifth to seventh-year associate, the court approved an hourly rate of $250 for 20.4 hours of work performed prior to June 18, 2013, and an hourly rate of $275 for 60.2 hours of work performed thereafter. The court awarded the Union $21,655.00 in attorneys’ fees and $350.00 in costs. In Perez v. Koresko, No. CIV.A. 09-988, 2015 WL 505471(E.D. 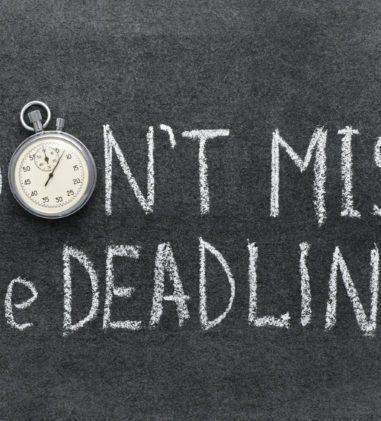 Pa. Feb. 6, 2015), the Secretary of Labor brought suit against Defendants for violating their ERISA fiduciary duties in connection with a multiple-employer employee death benefit arrangement. The court held a three-day bench trial and found for the Secretary on all claims. The Court concluded that the plans at issue are employee welfare benefit plans as defined by ERISA; that the plans have plan assets in the form of employee contributions, insurance policy proceeds, and earnings therefrom; and that the defendants are ERISA fiduciaries with respect to those plan assets. The defendants’ violations of ERISA included: (1) the diversion of tens of millions of dollars of plan assets through more than 21 accounts in the names of more than 18 different entities at 8 or more different banks; (2) the transfer of millions of dollars of plan assets into accounts which only Mr. Koresko controlled and which were out of the reach of the Trustee; (3) the taking out of over $35 million in loans on the Trusts’ insurance policies, and the transfer of the resulting monies to accounts which only Mr. Koresko controlled and which were out of the reach of the Trustee; (4) the creation and subsequent depositing of plan assets into various IOLTA accounts and accounts in Mr. Koresko’s personal name; (5) the transfer of millions of dollars of plan assets to law firms and consulting firms, from which neither the plans nor the beneficiaries benefitted, and only the defendants benefitted; (6) the use of death benefit proceeds to purchase property in the Caribbean island of Nevis and in South Carolina in Mr. Koresko’s personal name; (7) the use of plan assets to pay Mr. ‘expenses, including utility bills and boat rentals; and (8) the use of plan assets to pay the defendants directly. The court removed the defendants from any position of fiduciary authority and permanently barred the defendants from ever serving as fiduciaries or service providers to ERISA-covered plans. The court also found the Koresko Defendants liable for $19,852,114.88 in restitution for losses and disgorgement of profits. In Winburn v. Progress Energy Carolinas, Inc., No. 4:11-CV-03527-RBH, 2015 WL 505551 (D.S.C. Feb. 6, 2015), the court found that Plaintiff’s claim for equitable relief fails to allege an actionable violation of ERISA against Prudential because Prudential was not responsible for communicating with plan participants about plan terms. ERISA allocates to the plan administrator the responsibility for providing notice of plan provisions and changes that affect the benefits of all. Further, the plan documents specifically designate Progress Energy with the responsibility to comply with all requirements of the law with respect to notice and disclosure and to prepare and distribute information explaining the Plan and the applicable Component Plans. Thus, even if there was a failure to provide any required notice, Prudential is not the Plan Administrator and cannot be held liable for such failure. 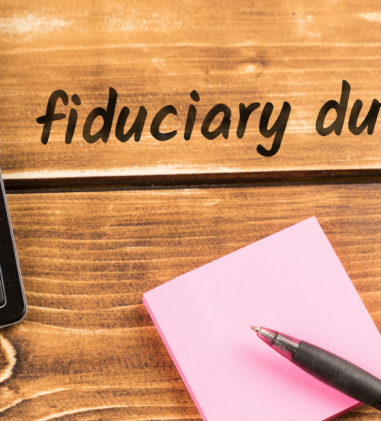 The court granted Prudential’s motion for judgment as to the breach of fiduciary duty claim on the basis that, as claims administrator and not plan administrator, it would have no liability for breach of fiduciary duty. In Spear v. Fenkell, No. CIV.A. 13-02391, 2015 WL 518235 (E.D. Pa. Feb. 6, 2015), the court dismissed a counterclaim seeking contribution and equitable indemnification under federal common law and state law, finding that ERISA does not permit contribution claims by non-fiduciaries in response to ERISA liability under Harris Trust and Savings Bank v. Salomon Smith Barney, 530 U.S. 238 (2000). The court explained that the rationale of Chemung Canal Trust Co. v. Sovran Bank/Maryland, 939 F.2d 12, 16 (2d Cir.1991), the seminal case providing for contribution between co-fiduciaries faced with ERISA liability, has been undercut in the years since the decision, and that it should not be extended to provide a contribution claim for non-fiduciaries. The court denied Defendant Standard Insurance Company’s Motion for Summary Judgment, granted Plaintiff’s Motion for Summary Judgment and Defendant Lake Region’s Motion for Summary Judgment. In Tretola v. First Unum Life Ins. Co., No. 13 CIV. 231 PAE, 2015 WL 509288 (S.D.N.Y. Feb. 6, 2015), Plaintiff alleged that she was entitled to long-term disability benefits due to fibromyalgia, irritable bowel syndrome (“IBS”), and syringomyelia. The court denied the parties’ cross-motions for summary judgment to the extent they are based on Plaintiff’s fibromyalgia and IBS. The court found that a trial is necessary to enable the court to reach a judgment as to whether termination of Plaintiff’s benefits was justified based on either or both of those conditions. 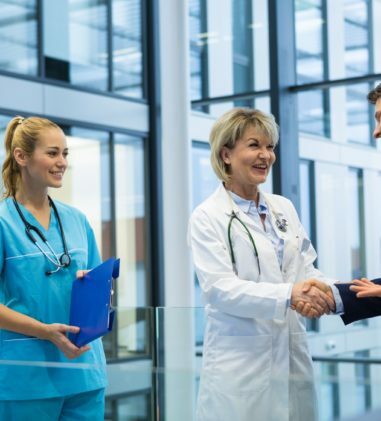 The court ordered Plaintiff’s counsel to produce to defense counsel and the Court all medical records of Plaintiff’s treating physicians as of February 14, 2012, which First Unum requested but which were not produced. Counsel for each side will be at liberty at trial to offer these records into evidence and examine witnesses about them. However, the court granted First Unum’s motion for summary judgment with respect to Plaintiff’s syringomyelia because 1) none of Plaintiff’s treating physicians, First Unum’s medical consultants, or the SSA have opined that Plaintiff’s syringomyelia was disabling; 2) there is no medical evidence to that effect; 3) those physicians consistently regarded that condition as stable and not as worsening; and 4) Plaintiff’s own account of her symptoms belies her assertion that her syringomelia was disabling. In Messick v. McKesson Corp., No. 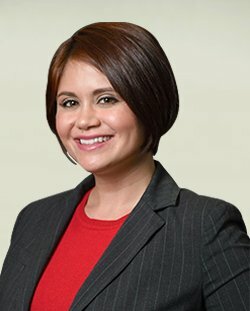 2:13-CV-1036 TS, 2015 WL 471643 (D. Utah Feb. 4, 2015), the court found that LINA failed to properly address to Plaintiff’s counsel Plaintiff’s claim file, a letter indicating the deadline for submission of an appeal, a letter acknowledging receipt of appeal, and the appeal determination. These failures resulted in some harm to Plaintiff because he was not afforded the opportunity to appeal his claim determination a second time before filing suit. However, the court found that the error occurred outside the context of the merits of the claim determination and does not rise to the level of a procedural irregularity warranting a de novo review of LINA’s claim decision. But, the court did not grant LINA all the deference it would otherwise be entitled under the arbitrary-and-capricious standard. The court found that LINA acted reasonably when making its short-term disability claim determination. As such, the court considered the long-term disability claim moot because long-term disability benefits are only paid if the short-term disability benefits are exhausted. In Plank v. Devereux Found., No. CIV.A. 13-7337, 2015 WL 451096 (E.D. Pa. Feb. 2, 2015), Aetna conceded that Plaintiff was disabled under the “own occupation” provision of the Plan and the court ordered Aetna to pay Plaintiff benefits owed under that provision for the remainder of that period, which totaled about four months’ worth of benefits. With respect to the denial of benefits under the “any occupation” provision of the Plan, the court found that Aetna never determined whether Plaintiff was disabled from any occupation. As such, there was no record for the court to review. Bearing in mind the high “abuse of discretion” standard applicable in this case, and recognizing that the court’s review has been confined to the analysis under the “own occupation” provision of its policy, the court declined to address the question of whether Plaintiff is entitled to “any occupation” benefits. The court remanded the matter back to Aetna for consideration of whether Plaintiff is entitled to benefits under the “any occupation” provision. In Greene v. Hartford Life & Acc. Ins. Co., No. 13-6033, 2015 WL 533257 (E.D. Pa. Feb. 6, 2015), Plaintiff sought discovery concerning an altered form that suggests a procedural irregularity in the administration of his claim for life insurance benefits. The court found Hartford’s explanation regarding the alteration to be “speculative.” As such, the court found that the potential structural conflict of interest coupled with the procedural irregularity of the altered form warrants further discovery. The court permitted Plaintiff to depose an employee of the life insurance plan sponsor who submitted both versions of the forms and the Hartford employee who had discussions about the forms with this employee. The depositions were limited to the circumstances surrounding the submission of the initial claim form and subsequent alteration of the claim form. In Schnepper v. Federated Mut. Ins. Co., No. 3:14-CV-00154-RLY-WG, 2015 WL 506292 (S.D. Ind. Feb. 6, 2015), the court found Plaintiffs’ Complaint alleging Defendants breached their duty of good faith and fair dealing by denying treatment payments for Vectibix Chemotherapy and breached its contract with Plaintiffs by failing to pay benefits for treatments as preempted by ERISA. The court denied Plaintiffs motion to remand. In Hershan v. Unum Grp. Corp., No. CIV. 2:14-6120 WJM, 2015 WL 502154 (D.N.J. Feb. 5, 2015), the court found Plaintiff’s breach of contract claim related to the denial of his disability benefits as preempted by ERISA. Because the Complaint is governed exclusively by ERISA, the court struck from the Complaint Plaintiff’s demand for extracontractual damages and trial by jury. In Provost v. ILWU-PMA Welfare Plan, No. SACV 14-01982-CJC, 2015 WL 470397 (C.D. Cal. Feb. 4, 2015), the court found as not preempted an action filed by a doctor seeking payment for anesthesia services provided to a plan participant, where Plaintiff attested that he is asserting claims for negligent misrepresentation, breach of oral and implied-in-fact contracts, and estoppel that are all based on prior oral representations that the proposed surgery was authorized. In Prachun v. CBIZ Benefits & Ins. Servs., Inc., No. 2:14-CV-2251, 2015 WL 457851 (S.D. Ohio Feb. 3, 2015), the court denied to remand to state court an action filed by Plaintiffs seeking to recover the difference between benefits under the former employer’s health plan that the employee believed he was getting and the benefits actually provided. 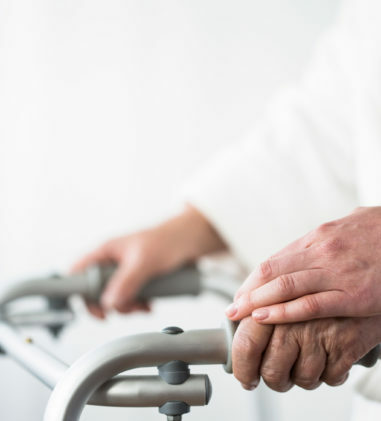 In this case, the employee alleged that he dropped his Medicare Part B coverage after being told by his employer that he did not need it, and that once he retired, he could reacquire it. After he retired, he was unable to reactivate his Medicare Part B coverage, and the insurance he was able to keep after his retirement did not pay for most of his medical expenses. The court concluded that this is a claim for benefits by a plan participant; it is cognizable under § 1132; and it is therefore completely preempted, even if phrased in terms of negligence. In Winburn v. Progress Energy Carolinas, Inc., No. 4:11-CV-03527-RBH, 2015 WL 505551 (D.S.C. Feb. 6, 2015), the court found that Prudential’s decision to deny the AD&D claim on the basis of the legal intoxication exclusion was reasonable and that Plaintiff received a full and fair review. At the time of Mr. Winburn’s death in 2008, the terms of the AD&D Plan then in effect contained the “legally intoxicated” exclusion and Mr. Winburn’s blood alcohol level rose to the level of legal intoxication. In Richardson v. Kellogg Co., No. 14-CV-2372-DDC-JPO, 2015 WL 474320 (D. Kan. Feb. 4, 2015), the pro se Plaintiff asserted that Defendants discriminated against him and breached his retirement contract by denying him retirement and medical benefits that he is entitled to receive under his retirement plan. Because Plaintiff did not exhaust his administrative remedies, and the court found no evidence in the summary judgment record showing that exhaustion would have been futile, the court granted summary judgment against Plaintiff on his ERISA claim. In Giannini v. Carpenters Pension Trust Fund for N. California, No. C 14-05227 LB, 2015 WL 498726 (N.D. Cal. 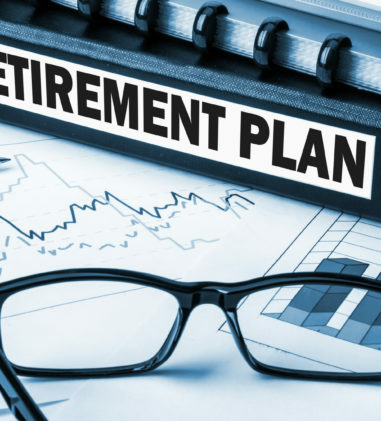 Feb. 5, 2015), a matter brought by a pro se plaintiff, the court found Plaintiff’s claim to recover $17,500 under an ERISA-covered pension plan could have been brought under ERISA § 502(a)(1)(B) and is completely preempted by ERISA. As such, the court granted the Fund’s motion to dismiss. In Wallace v. Curwen, No. CV 114-236, 2015 WL 510129 (S.D. Ga. Feb. 5, 2015), the court found that Curwen did not prove that a relevant ERISA plan exists as it relates to a Solomon Smith Barney IRA account and a disputed change of beneficiary. Because Curwen did not meet her burden of proving that federal question jurisdiction exists, the court granted the motion to remand. In Hershan v. Unum Grp. Corp., No. CIV. 2:14-6120 WJM, 2015 WL 502154 (D.N.J. 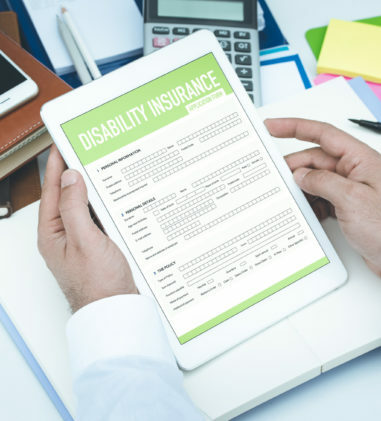 Feb. 5, 2015), the court found that a disability policy remained an ERISA plan even though the employer ceased operations and Plaintiff opted to continue his coverage as an individual and pay premiums directly rather than through the employer. 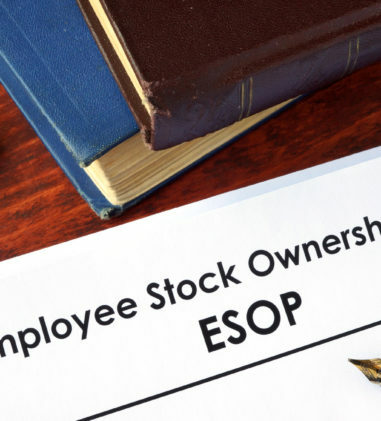 The court rejected the argument that since the employer no longer exists, the policies no longer involve an “employer” and are therefore no longer governed by ERISA. While the Third Circuit has not addressed this issue head on, numerous courts have held that an employee welfare benefit plan does not lose its ERISA status merely because the employer who once established or maintained the plan subsequently goes defunct. The court distinguished In re Lowenschuss, 171 F.3d 673, 680 (9th Cir.1999) since it involved a pension plan, the definition of which focuses on the present rather than the past. In Buser v. Eckerd Corp., No. 5:12-CV-755-FL, 2015 WL 418172 (E.D.N.C. Feb. 2, 2015), the court found that Rite Aid’s uninsured, self-funded short-term disability benefit program is not governed by ERISA because it is a “payroll practice.” The “payroll practice” exemption excludes payment of an employee’s normal compensation, out of the employer’s general assets, on account of periods of time during which the employee is physically or mentally unable to perform his duties, or is otherwise absent for medical reasons. Here, Rite Aid paid all short-term disability claims out of their general assets. In Gonda v. Permanente Med. Grp., Inc., No. 11-CV-01363-SC, 2015 WL 537770 (N.D. Cal. Feb. 9, 2015), Plaintiff filed suit against his former employer and the employer’s long-term disability plan insured and administered by Life Insurance Company of North America. The court granted Defendants’ leave to amend their answer to add the affirmative defense that a Settlement Agreement releases Plaintiff’s claims. Although the court found that the Defendants unduly delayed in raising the affirmative defense of the Settlement Agreement, there is no evidence of bad faith or futility. Most importantly, the court found that there will be no undue prejudice to Plaintiff. •· First Affirmative Defense asserts that Plaintiffs lack standing to bring their claims. Because standing is an element of Plaintiff’s prima face case, it is properly addressed through denial or a motion to dismiss and cannot as a matter of law operate as an affirmative defense. •· Fifteenth Affirmative Defense asserts that Plaintiffs’ claims are alleged against the wrong employer. This allegation challenges an element of Plaintiffs’ prima facie case, as Plaintiffs bear the burden of establishing that Defendant had an obligation to contribute to Plaintiff Fund. Thus, this defense is not a proper affirmative defense and fails as a matter of law. •· Second, Third, Ninth, Tenth, Eleventh, and Thirteenth affirmative defenses are “committed to mandatory arbitration” by § 1401(a) of ERISA. Here, Plaintiffs allege that Defendant has not requested review or initiated arbitration with the Pension Fund pursuant to 29 U.S.C. §§ 1399(b)(2)(A), 1401. Defendant did not respond to Plaintiffs’ § 1401(a) arguments and the court construed this as a concession by Defendant and struck these defenses for legal insufficiency. •· Fourth Affirmative Defense asserts “unclean hands,” and for support, Defendant alleges only that this defense is “based upon their [Plaintiffs’] own fault or misconduct.” This defense falls short of providing Plaintiffs with notice of the underlying factual bases of the defense and is stricken without prejudice. •· Twelfth Affirmative Defense alleges that Plaintiffs have failed to mitigate damages. This ground is legally insufficient under § 1401(a) of ERISA. Further, the allegation does not give Plaintiffs “fair notice” of the “underlying factual bases” of this defense. This defense was stricken without prejudice. •· Allegations asserting Plaintiffs’ invalidity under the LMRA or Plaintiffs’ violations of the LMRA, are “impertinent” and “immaterial” to the issues in this matter and are stricken with prejudice. •· Fifth and Sixth affirmative defenses are “needlessly repetitive” and stricken with prejudice. In Winburn v. Progress Energy Carolinas, Inc., No. 4:11-CV-03527-RBH, 2015 WL 505551 (D.S.C. Feb. 6, 2015), the court found that Progress (employer and plan sponsor) is not a proper defendant under the Section 502(a)(1)(B) claim for benefits because Prudential, not Progress, administered claims under the Plan. In Orfano v. NV Energy, Inc., No. 2:12-CV-00970-GMN-PA, 2015 WL 430425 (D. Nev. Feb. 3, 2015), the court granted summary judgment to Defendant on Plaintiff’s Section 510 claim, where Plaintiff alleged that Defendant terminated his employment to avoid the expense of contributions to his 401(k) and pension plans. Plaintiff claimed that four other high level employees were terminated around the same time as Plaintiff in a cost-cutting measure to make Defendant more attractive to potential suitors for acquisition. The court found that Plaintiff’s assertions and supporting evidence fail to demonstrate that Defendant acted with a specific intent to interfere with his ERISA rights. The court found that Plaintiff’s argument is further weakened by Defendant’s assertion with supporting factual evidence that it hired individuals to replace each of the four other former employees and all the replacements were eligible for the same benefits, and all participated in the Company’s 401(k) and pension plans. The court concluded that Plaintiff failed to establish a prima facie case of discrimination, but even proceeding with the remaining analysis under the McDonell Douglas framework, Defendant articulated a legitimate non-discriminatory reason for terminating Plaintiff’s employment. Specifically, Defendant terminated Plaintiff upon violations of company policy after an independent investigation substantiated a female employee’s complaint about differential treatment by Plaintiff based upon her gender. In Winburn v. Progress Energy Carolinas, Inc., No. 4:11-CV-03527-RBH, 2015 WL 505551 (D.S.C. Feb. 6, 2015), the court found that the plaintiff had actual knowledge of the essential facts constituting the breach of fiduciary duty in July of 2008 when she was mailed a CD containing the relevant AD&D policy exclusions; that the express three-year statute of limitations in Section 1113 should not be equitably tolled and the defendants were not equitably estopped to assert the three-year statute of limitations; and the lawsuit was not timely filed. The court granted Progress’s motion for summary judgment on the breach of fiduciary duty claim on statute of limitations grounds.